Professional Growth opportunities for teachers, administrators, and educators. The US Department of Education is hosting Be Global Ready, an in-person and online event to share resources to help US teachers and schools teach world languages. The event will feature presentations and resources from the International Affairs Office and the Office of English Language Acquisition, US Department of Education; the American Council on the Teaching of Foreign Languages, Center for Integrated Language Communities, City University of New York; the Critical Language Scholarship and National Security Language Initiative for Youth, US Department of State; and STARTALK, National Security Agency. Teachers and students can learn something new everyday from more than 35 of the world’s greatest minds in MasterClass, an instructional website where artists share insights about their craft. The digestible, 10-minute online lessons are accessible on any device at anytime. The TeachingChannel’s New Teacher Survival Guide video aims to eliminate some of the frustrations that new teachers face when entering their classrooms. The video follows new teachers exploring the challenges they encounter in areas such as classroom management or differentiated instruction. Penn State World Campus offers a world of possibilities—online. 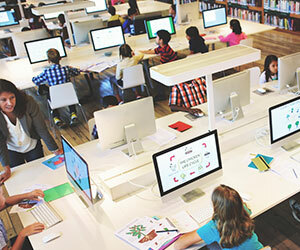 Educators can expand their skills in instructional design and learn to evaluate the impact of technology on learning. The educational technology programs offered online through Penn State World Campus, in collaboration with the College of Education, help educators to incorporate the use of technology and the internet to more effectively engage learners and improve the quality of learning experiences. The courses are taught by the same faculty who teach in residence. Penn State’s Education programs have been ranked consistently in the top 10 by U.S. News & World Report. Interested educators can choose from the following programs: Master of Education in Learning, Design, and Technology; Graduate Certificates in E-Learning Design, Educational Technology Integration, and Teaching and Learning Online in K–12 Settings. Request more information here. 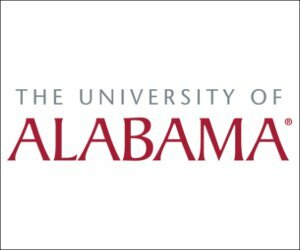 The University of Alabama offers an MA in Instructional Technology that can be earned completely online to help educators integrate innovative tech strategies into their curriculum. With a focus on theory and research, the coursework will enhance educators’ understanding of how to implement emerging technologies and create a better educational experience for their students. The knowledge they gain will prepare them to design learning solutions across a variety of platforms. This degree can help advance educators’ careers and increase their effectiveness at reaching today’s students. Copyright © 2019 Big Deal Media. All rights reserved.